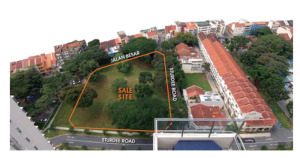 Sturdee Residence is a new launch residential development by Sustained Land (S L Capital 1). 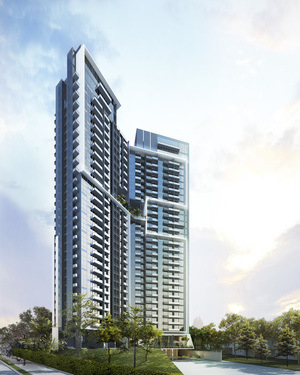 The 30-storey condominium is situated at Sturdee Road in District 08 Singapore. The city fringe condominium is conveniently located near to 2 MRT Stations, Farrer Park MRT Station and upcoming Bendemeer MRT Station, which enable one to reach the city central within minutes. For those who drives, the development is also well connected by major roads and expressway like Serangoon Road, Jalan Besar Road and Central Expressway (CTE) which allow you to reach destinations like Marina Bay Financial Center, Singapore Sports Hub, Shenton Way and Orchard Road easily. Sturdee Residence also offers wide range of shopping and dining options in the vicinity. Shopping malls like City Square Mall and 24 hour Mustafa Centre are short walking distance away. City Square Mall, Singapore’s first Eco Mall, is located at the junction of Serangoon and Kitchener Roads. With over 700,000 sq ft of gross retail space,it is home to about 200 tenants that caters to the lifestyle needs of today’s discerning mid-income families, offering a wide array of value-for-money merchandise and services, exciting promotional activities, street fare as well as international cuisine, which provides the perfect setting for the community to meet, play and shop while acquiring an eco-learning experience. There are also plenty of famous eateries along Serangoon Road and Jalan Besar Road, like Swee Choon Tim Sum, Ng Ah Sio Pork Ribs Soup, Kok Kee Wanton Mee, Ming Chung Restaurant and many others. The condominium is also near Connexion, Singapore’s first truly integrated healthcare and hospitality complex. Built directly above the Farrer Park MRT station, Connexion is well-positioned to offer a whole new level of medical care and hospitality experience in Singapore. The iconic building will be surrounded by low rise shop houses and apartments, providing panoramic views of the city skyline. Designed by the famed AGA Architect, Sturdee Residence will sport a modern and elegant design. Each residential unit is efficiently designed and equipped with top notch furnishes and appliances, fulfilling your every needs for a dream home. For more information on Sturdee Residence, simply fill up your details below and our salesperson will get in touch with you shortly!